Analyzing backlink profiles is one of the most tedious aspects of SEO, and rightfully so. You see, search engines like Google are similar to the way insurance companies are portrayed in Hollywood. You read the terms, cover the costs and do everything in your power to get things in order. But when accident or disease strikes, your insurer finds a loophole and bam—you’re toast. While such movie scenarios are usually overblown and improbable in real life, they happen all the time in SEO. It doesn’t matter if you invest thousands in link building or on-page optimization. Search engines like Google will find the weaknesses in your backlink profile and use them to determine your SERP rankings. That’s why your backlink profile must be squeaky clean and free from anything that looks spammy or manipulative. This starts by downloading your backlinks and analyzing them carefully yourself. Then, you need to spy on the backlink profiles of your competitors to learn what they’re doing well, and how you can use their tactics to improve your own link building strategy. With Monitor Backlinks, these objectives are more than doable. You just need a more effective method of downloading and auditing backlink profiles, both yours and your competitors’. Well, you asked, and we’ve got the answer! Before you take a peek at the backlink profile of competitors, you must first look at your own backyard. To download your own backlink data, you must first add your domain to your Monitor Backlinks account. 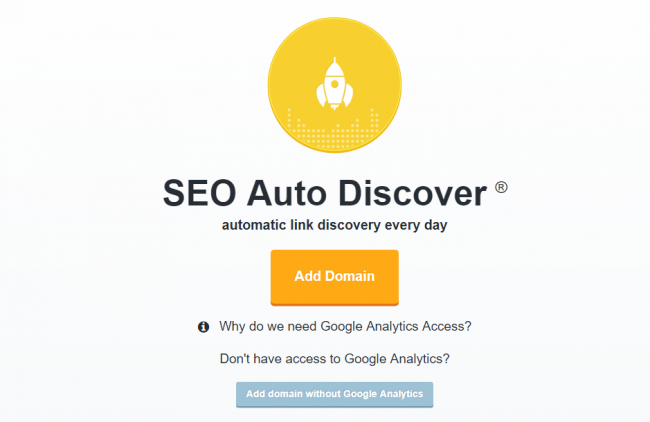 For this, you can either use “Auto Discover” to pull data from Google Analytics or enter your domain URL manually. Here, you can assess the value of each link with the help of well-known SEO metrics. These include the linking domain’s Trust Flow, Spam Score and Domain Authority. You can also apply filters, sort backlinks or manually track new links on this page. There are two ways to download your backlink data from Monitor Backlinks. The first method is through the “With selected” drop-down button, in which you must select the individual backlinks to download. Simply use the checkboxes on the left-most column to complete this step. You can also click the checkbox above this column to select all the backlinks on that particular page. 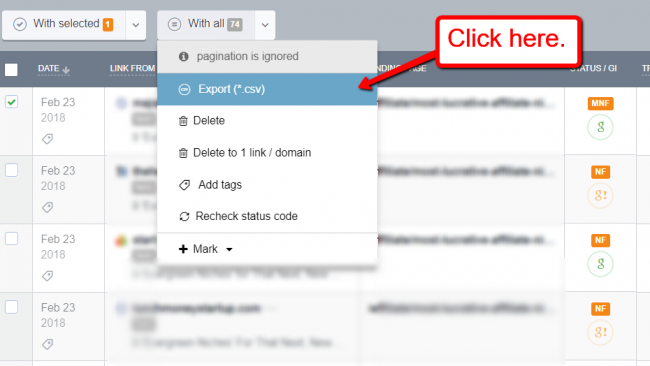 Once you select all the backlinks to include in your audit, click “Export” under the “With selected” drop-down menu. After which, your web browser should automatically download the CSV file with your backlink data. This can then be accessed using the spreadsheet application of your choice. Manually selecting backlinks for download is useful if you want to isolate specific types of backlinks, such as links with warnings or those from a certain linking domain. Under most circumstances, however, it’s faster to just download them all in one fell swoop. To do this, just click “Export” from the “With all” drop-down menu. Just like the previous method, this will prompt your web browser to download the CSV file locally. You should be able to find the document in your default download folder. What to Do with Downloaded Links? When consolidated into a single spreadsheet, you’ll have a clearer view of crucial backlink metrics that deserve your attention. What’s important is that you understand the data and know what to do with it. Determine the best backlinks and strengthen them. The downloaded file will show you all the different metrics you need to determine the quality of your backlinks. Focus on backlinks from sites with high Trust and Citation Flows as well as Moz Domain Ranking. Give these pages an extra boost by sharing them on social media or by linking out to them on other pages. This can give traction to the links, as search spiders will note the recent activity and potentially give it more value. As a result, you’ll see a positive trickle-down effect on your site as well, just by sheer association. Disavow bad backlinks. A CSV report makes it easier for you to weed out bad backlinks for removal from your link profile. You can then disavow those bad links straight from Monitor Backlinks. Manage and keep track of backlinks. The last thing you want to happen to your good backlinks is to lose them. Sometimes it’s possible that a site owner overlooked changes on their site which caused your backlink to disappear. If this happens, you need to reach out to them and kindly request that they put the link back up. It might help to send a screenshot of the link using Wayback Machine as proof. Send the data to clients. If you use Monitor Backlinks to track links for a client’s website, you can send them a copy of the downloaded backlinks for reporting purposes. 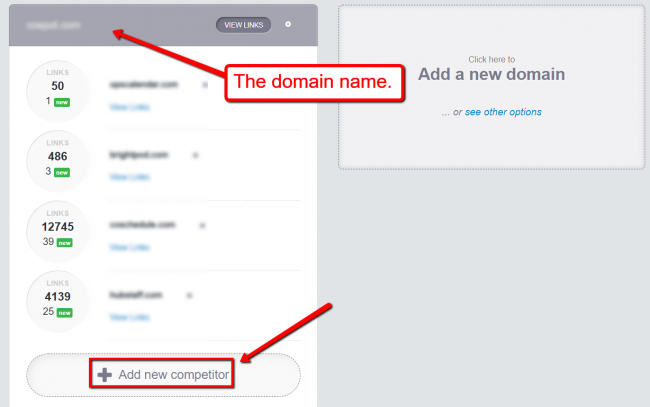 From the Monitor Backlinks dashboard, you can add your competitor’s domain through the “Competitors” tab. From there, click “Add new competitor” and enter their domain URL. If you have multiple domains linked to your Monitor Backlinks account, remember to assign the competitor to a specific website. 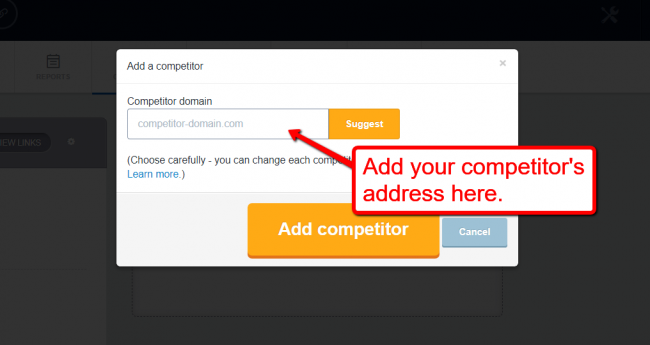 All you need to do is click the “Add new competitor” button under the domain you’d like to monitor competitors for. As shown above, you can add multiple competitors for one domain. Since Monitor Backlinks takes some time to retrieve backlink data, add as many competitors as you need ahead of time. Once sufficient backlink information is available on your competitors, click the domain you want to audit. This will take you to a familiar page where you can view their real-time link profile and important metrics, as well as organize backlinks. Unlike with your own backlink profile, you can’t select the backlinks you want to export into your CSV file. You can only click the “Export” button and wait for your browser to download your competitor’s entire backlink profile. That’s it! You should now have a CSV file that looks exactly the same as the one with your own backlink data. What to Do with Your Competitor’s Downloaded Links? Assess their keyword strategy. It’s no secret that a link building strategy lives and dies by a brand’s selection of keywords. With Monitor Backlinks, you can grasp your competitor’s target keywords by noticing patterns in their anchor texts. Find out where they get links. In addition to their keyword strategy, you can also determine where they build their links from. This’ll help you catch up to them as well as prevent other competitors from outranking you in search results. Monitor their link building performance. 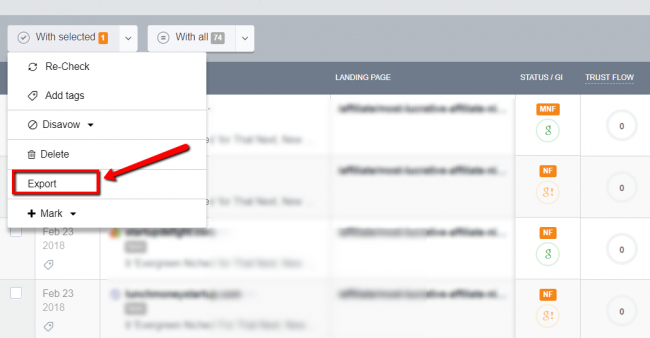 Finally, you can use your competitor’s backlink data to gauge their link building activities. It allows you to know when to supercharge your efforts, such as when there’s a spike in their recently-acquired links. Auditing and downloading backlink profiles may not be the most exciting task in SEO. But if done with persistence, it can help you cut the guesswork and develop a foolproof ranking strategy. Diving deep into your backlink data will help you improve your site’s link building activity, as well as strengthen the links you currently have while weeding out the bad ones. Keep in mind that search engines like Google can dissect your website from the inside out. The best thing you can do is to ensure you always know your backlink profile better than they do. This’ll help you get ahead of the curve and in front of everyone else in the competition!